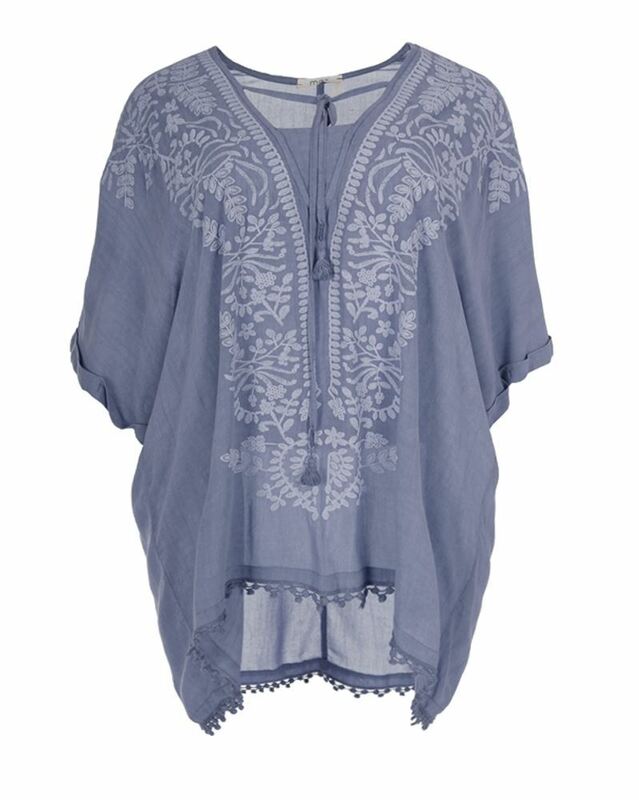 Crafted from soft fabric this blue Mat tunic is an easy throw for relaxed beach or city looks. A print down the front perfects the unstudied look. Tassels and a crocheted hemline further the oversized cut.